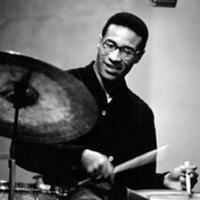 On January 10th, WKCR celebrates the anniversary of the birthday of peerless jazz icon Max Roach, born in 1924. As a drummer, he was an integral part of nearly every jazz movement from bebop onward, accompanying such giants as Charlie Parker, Clifford Brown, and Cecil Taylor. As a bandleader and composer, he created some of the most socially aware records of the tumultuous civil rights movement in the 1960s. As an educator, he gave his time and ear to countless musicians who have since passed on into the contemporary world of the music he helped bring about. Listen in as we honor Max for a full 24 hours on Monday, January 10th.